The Vice President, Shri M. Venkaiah Naidu addressing the 63rd Annual General Meeting of the Indian Institute of Public Administration, in New Delhi on October 11, 2017. New Delhi: Vice President of India, Shri M. Venkaiah Naidu has said that technology driven government processes are required to address multiple challenges in contemporary India. He was addressing the 63rd Annual General Meeting of the Indian Institute of Public Administration (IIPA), here today. The Vice President said that IIPA with more than six decades of Indian administration, assimilating changes, examining reforms and initiating research, evaluation and training programmes. He further said that the Public Administration has always been the management of change: administering change in society, in the economy and in political life. That is more so in a major democracy, he added. 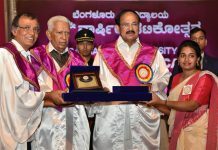 The Vice President opined that we have to re-fashion our administrative abilities to implement the innovative and citizen-centric schemes of the Central and State Governments. He further said that it is a matter of pride that India’s fifteen-year development agenda is completely aligned with the global UN Sustainable Development Goals of citizen-centricity. The agenda before use is to convert ‘swaraj’ in to ‘suraj’ by providing good governance, by reaching all sections of the people, he added. The Vice President said that we should aim at greater ‘efficiency’ and ‘effectiveness’ and we have to build a culture of ‘evaluation’ and constant ‘learning’ in our governance systems. He expressed hope that IIPA in conjunction with other similar institutions at state level will chalk out a comprehensive governance reform agenda and create a governance system with ‘people’ at the centre, the ‘results’ as the criterion of success and ‘constant innovation in processes’ as the guiding principle. The Vice President said that programs should be implemented with Antyodaya approach that focuses on the most vulnerable, marginalized and hard-to-reach populations groups. Our approach has to be more empathetic, responsive and inclusive, that cares for women, differently abled and has, at its heart, a genuine commitment to spread the benefits of democratic governance to all sections in society without any discrimination in the spirit of the principle “Sab ka Saath, Sab ka Vikaas”, he added. The Vice President said that officers and the entire administrative system must understand the development imperatives of today and reorient the processes towards our common goal of serving each citizen. Need of the hour to create a governance system with ‘people’ at the centre, the ‘results’ as the criterion of success and ‘constant innovation in processes’ as the guiding principle, he added. The Vice President released several publications and inaugurated the Online library – Digital Knowledge Repository of IIPA showcasing the research output and published resources of the Institute. He also gave away “Paul H. Appleby Awards” for distinguished services to IIPA and the field of Public Administration. “I am happy to participate in the 63rd AGM as the President of this historic Institute. The IIPA has recently concluded its Diamond Jubilee. It has seen more than six decades of Indian administration, assimilating changes, examining reforms and initiating research, evaluation and training programmes. This massive shift in outlook in serving the common person of India rather than the colonial command and control system, required great effort in Human Resources Development and training. This is one of the important reasons for setting up the IIPA. We are again at the cusp of change as we have to re-fashion our administrative abilities to implement the innovative and citizen-centric schemes of the Central and State Governments. We have to harness the power of technology and utilize it for the benefit of the people. Today’s administrators have to match the strengths and weaknesses of our internal environments with the pulls and pressures of external forces. They have to not just manage but deliver change impartially, honestly, forcefully and at a pace which is socially and economically acceptable. It is a matter of pride that India’s fifteen-year development agenda is completely aligned with the global UN Sustainable Development Goals of citizen-centricity. This is the most comprehensive framework for our country’s growth and development. It covers administrative deliveries, policy and regulation in the critical areas of reducing poverty, eliminating hunger, extending public health and well-being, providing basic education, providing clean water and sanitation, ensuring gender considerations, promoting clean energy and continuously striving for growth, employment and equity in our Governance. Showing deep concern for the country’s environmentally dependent poor, India ratified its commitment to the Paris Agreement on Climate Change. That shows our new resolve towards adhering to responsible growth patterns and strong commitment to climatically protect our poor especially in India’s coastal regions, hill tracts and the vulnerable populations in all of India’s twelve bio-geographic zones. All this requires intelligent and knowledgeable administrative capacity that needs to be inculcated among our young officers. 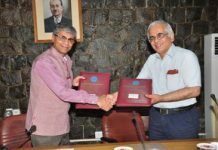 I am aware that IIPA and institutes of its kind have been engaged in this effort and will continue to do so in the future. However, I feel much more needs to be done. We have a long way to go in translating the vision of our founding fathers into tangible reality. Our founding fathers thought that once we get ‘swaraj’ all the problems will be solved. But now, the agenda before use is to convert ‘swaraj’ in to ‘suraj’ by providing good governance, by reaching all sections of the people. We are still facing enormous challenges in delivering basic services to the common man. Illiteracy, ill health, poor quality of education, lack of clean drinking water and sanitation facilities, poor urban planning, inadequate attention to environmental pollution and a host of other issues remain. We have to gear up the implementation processes so that the intended benefits of the policies and programmes of our government reach the people on time. Let me elaborate. We tend to focus more on activities and inputs and very often miss out on what I consider as the most important aspect- the outcome and the impact of our actions on the populations we are trying to serve. We must focus on results. We must look at the cost effectiveness and the ultimate impact. We must be willing to honestly evaluate and keep improving on our delivery systems. We must assess on a continuous basis as to whether we are able to achieve the stated objectives in the stipulated time and within the projected budget. W must look at efficiency of our working. We must keep reflecting on the question: Have we have adopted the most cost-efficient and energy-efficient and sustainable modality or not. Did we achieve the results without time –overrun or cost-overrun? This requires a culture of evaluation, learning from the results of evaluation and acting promptly to make mid-course corrections. Unless this kind of an orientation is built into our governance patterns, we may be wasting our precious and scarce resources and not delivering services to our populations effectively and efficiently. IIPA has an important role to play in building this crucial element in contemporary administrative and moving the entire system towards results based managerial culture. Institutional support to the Government from IIPA, to help officers implement our programmes at all levels is crucial to success. I am happy that IIPA provides support services to major implementing ministries such as Housing and Urban Affairs, Consumer affairs, MEITY, DoPT, DST etc. New thinking is necessary on the structure, attitudes and capacity of our administration to deliver on programmes like Swacch Bharat (urban and rural), Smart cities, Skill India, Direct Benefit Transfer, Digital India, AMRUT, universal housing through the PM Awas Yojana and so on. All these schemes go beyond the conventional delivery mechanisms of development administration of the Seventies and require greater coordination with the objective of reaching the citizen in the farthest village keeping in view the Antyodaya approach that focuses on the most vulnerable, marginalized and hard-to-reach populations groups. It has to be a more empathetic, responsive and inclusive approach. It should be an approach that cares for women, differently abled and has, at its heart, a genuine commitment to spread the benefits of democratic governance to all sections in society without any discrimination in the spirit of the principle “Sab ka Saath, Sab ka Vikaas”. Not only repeated classroom training but repeated field visits and hand-holding of Central Ministries and State Governments by institutes like IIPA is the need of the hour. I congratulate the Institute for having consistently trained about 4500 officers from the Central and State Government in these topical areas of learning and for conducting about thirty research projects each year. In our HRD efforts, Urban Management is in the forefront with more than 50% of India’s population expected to reside in cities and urban centres by 2030. I am happy that IIPA houses the Ministry of Housing and Urban Affairs’ Centre for Urban Services an urban sector think tank providing training and research support since 1963. 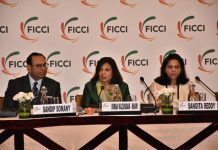 It is extending urban financial and municipal management training to city Mayors, Commissioners and other senior functionaries from cities, public-sector and para-municipal agencies. The CUS at IIPA has also done appreciable work in city-management reports in corporations like Bengaluru, Indore, Gurugram and Ahmedabad. I am encouraged by the fact that the IIPA management has concluded an MOU with the National Building Construction Corporation (NBCC) to re-develop its old infrastructure. Let the new structures represent the 21st Century and the new administration of tomorrow which IIPA through its past and present knowledge management and delivery will be able to portray to the Governments of the future. IIPA’s global network should enable an enhancement of its inter-country experience sharing and developing common good practices in relevant fields of administration. The change that Sardar Patel saw and Pandit Nehru, the first President of the IIPA Society in the initial years dreamt of, are today a multi-dimensional challenge. Technology driven government processes are required to address these multiple challenges in contemporary India. Governance has to be very agile in its efficacy and reach if services to the poorest of the poor and those in the remotest corners- to the last mile- to the last person in the queue- of our country have to be effective in their impact. Officers and the entire administrative system must understand the development imperatives of today and reorient the processes towards our common goal of serving each citizen. I hope IIPA in conjunction with other similar institutions at state level will chalk out a comprehensive governance reform agenda and create a governance system with ‘people’ at the centre, the ‘results’ as the criterion of success and ‘constant innovation in processes’ as the guiding principle. I wish you all the very best in your endeavours to deliver high quality outputs. I hope you will be relentless in shaping IIPA as an institution of excellence, always alive to the current realities, agile enough to respond to changing contexts and forward looking enough to anticipate future trends.